Image: Jiffy Avril/Shutterstock. Design: Kenzie Mastroe/SheKnows. We’ve all been there — a slip in the yard, a spill as we sip, a drip from that pocketed ink pen — and now, your favorite shirt is stained. You’ve Tide-To-Go’d it to death but that pesky stain remains. Don’t panic (or head online to replace it) just yet. There are a few tips and tricks you can use to remove that stain and save your clothes (and your wallet). Luckily, all stains have a few things in common and the sooner you learn about them, the better you become at removing them. First, the earlier you start to treat any stain the better. Second, always remove as much of it as you can by removing any excess and blotting (never rubbing) the area with clean water (an ice cube works in a pinch) or running it under cool water. Try carrying a stain sick or wipe in your purse or car so you always have a way to immediately pretreat it if you can’t get to work on removal immediately. Lastly, remember that you should never put the garment in the dryer until you’re sure it’s out. The heat of the dryer could cause the stain to set and become permanent. Now, let’s dive into the different types of stains. Dye stains that result from washing dyed clothes with other colors (usually whites) can be challenging because dye is precisely how we get color into fabric in the first place. To remove them, soak the affected clothing in the washing machine in cool water mixed according to package directions with oxygenized non-chlorine bleach (e.g., OxiClean) for eight hours. Repeat as many times as needed, then when the stain is gone, wash and dry as usual. Sweat, vomit, and all of those other fun bodily fluids are going to require the use of enzymatic detergent (which breaks down proteins) and oxygenated non-chlorine bleach. Wash it on the hottest setting recommended for the fabric. Sometimes, even once the stain is gone, a less-than-desirable scent will remain. If that’s the case, wash it again in a detergent specifically designed to fight (not just mask) odors. This method works on most organic protein stains (human or otherwise) with the exceptions of blood, dairy (including breast milk) and egg. Dairy stains are a type of organic protein stain, but you remove them differently because warm or hot water applied before the stain is gone could effectively cook the proteins, causing the stain to discolor, according to Persil. If the stain has dried, you’ll first need to gently scrape or brush off anything that’s crusted on the garment. Then soak it for five to 30 minutes (depending on how old the stain is) in cool water with an enzyme presoak, repeating with fresh water if necessary. If the stain has already discolored, try washing it with a bleach product safe for the color of the fabric. This method is effective on egg and breast milk stains as well. Yes, blood stains are a type of organic protein stain, but they can be particularly challenging to remove so they deserve their own section. Got blood on a delicate item? Take it straight to the dry cleaner. Any DIY treatments will probably harm the clothing. 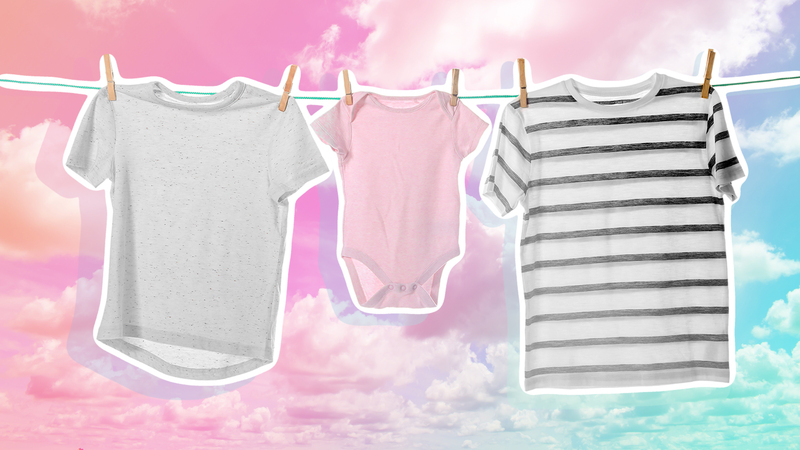 Soak other garments in cold water, rubbing the stain gently with your fingers to remove as much blood as possible. If the water begins to turn pink, replace it and keep going until the water stops turning pink. Rinse the garment well, blot the stain, and apply an enzymatic stain remover (one with extra stain-fighting power if possible), allowing it to sit before washing. If that doesn’t work, you can try using a very small amount of hydrogen peroxide (rinse it out thoroughly), but this may discolor some fabrics, so try it on an inconspicuous spot first. 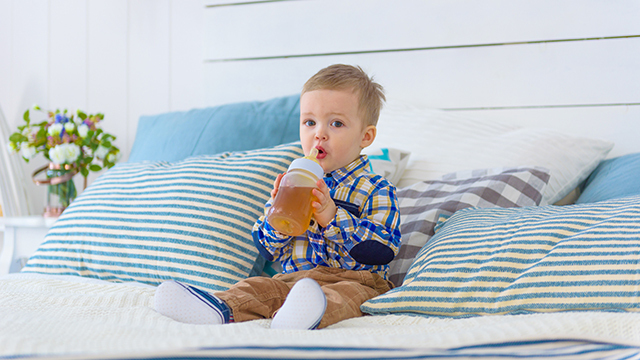 Dilute the stain with cold running water and apply an enzymatic laundry detergent directly to the stain, making sure you completely cover the stain, and allow it to sit for 20 minutes. Without rinsing off the detergent, wash the garment on the cycle indicated on the label at the hottest temperature appropriate for the fabric. 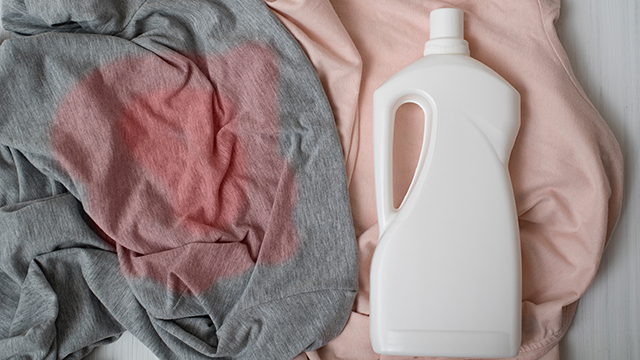 Cover the stain in salt, which will absorb the color (the salt will begin to turn pink), then soak it in cold water with an enzymatic laundry detergent overnight. Repeat the soak with new water if necessary, then wash as usual.